High Idle with M45 and MS2 - Help Needed - Miata Turbo Forum - Boost cars, acquire cats. Yesterday, I got my car, a 1.6 with Megasquirt PNP 2 and an M45 kit running and driving. I'm still tuning it and getting things dialed, but I am having issues getting the idle down to a reasonable level. I am unable to get below 1300 RPMs at idle, even warm. This is with the idle adjust screw all the way in and trying what I can on MS. Some luck was had greatly retarding timing in the low RPMs, but not sure that is the best idea and I was still not able to get below 1300. 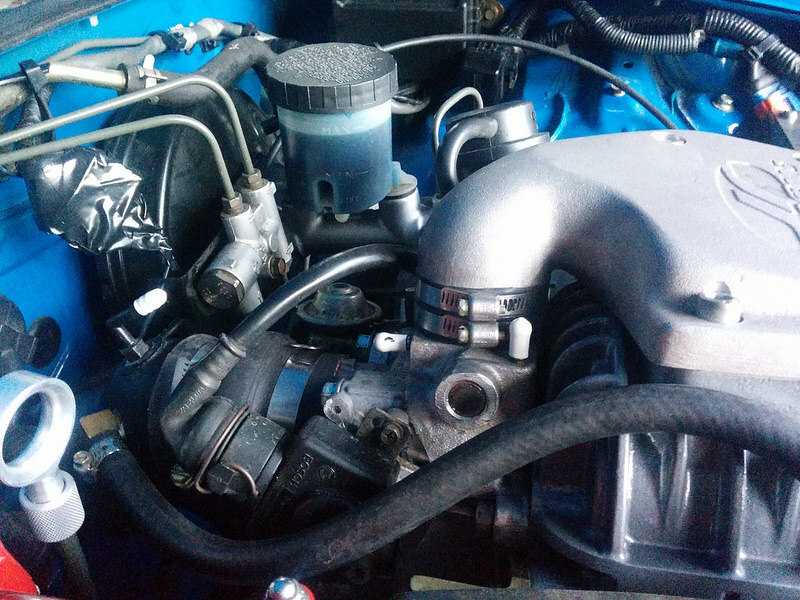 I know a good idle can be had with Megasquirt and I am not interested in doing dual throttle bodies (which I know is not really pushed here, but I asked the same question at Miata.net and that seems to come up a lot), but I am hoping someone can help me figure out how to to this. FWIW, I am running RX8 420cc injectors and deleted the AFM as well. Non-intercooled (for now). Last edited by Adam777; 04-20-2015 at 10:46 AM. custom built v3.0 pcb w/ms2 daughterboard and custom pnp harness? Sorry, left out the most important part, I suppose. It's an MSPNP 2. Hardware is 1.2 if that matters. I updated the OP as well. fix your vacuum leak then. Alright, that is what I was leaning towards and I am now thinking the tee fitting to my MAP sensor may be the issue. Hoping that sorts it out.